18 tracks of ultra-relaxing content. 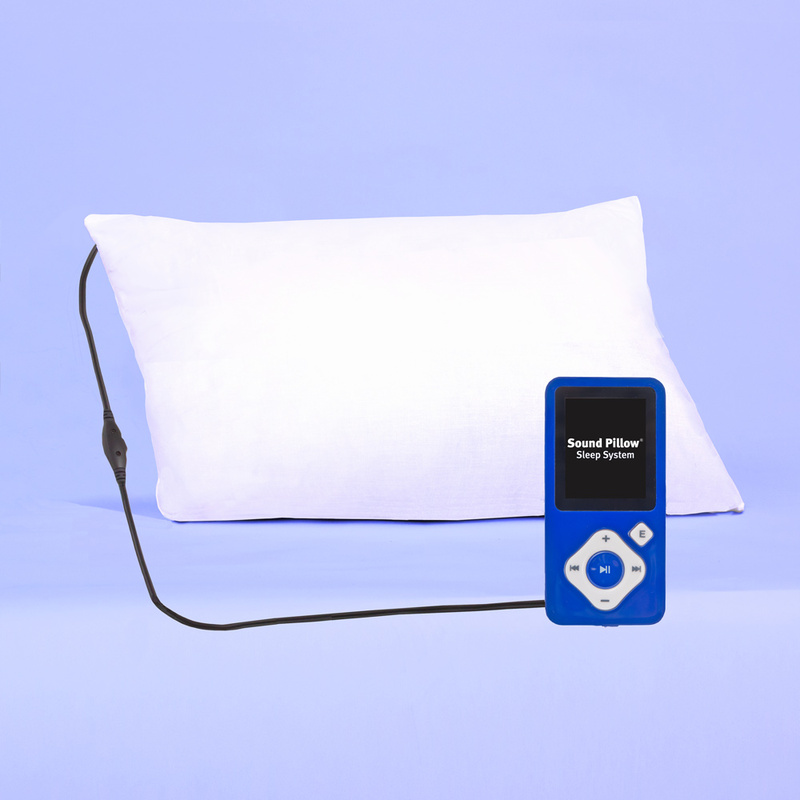 The Sound Pillow Sleep System is the ultimate sound conditioner, providing an intimate sound experience. 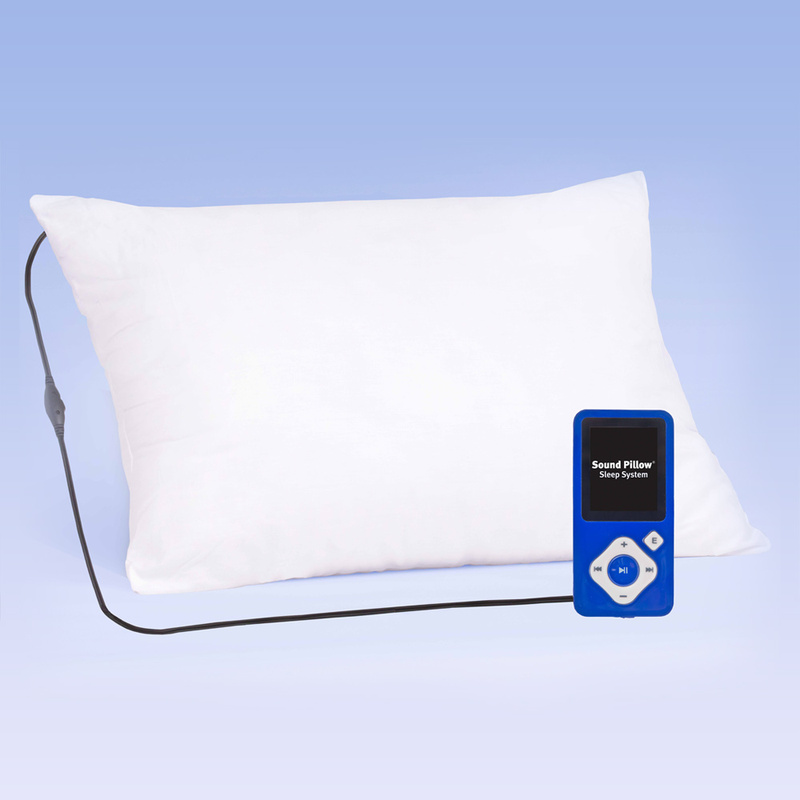 A plush, hypoallergenic pillow with two virtually undetectable speakers were engineered, from the inside out, for total comfort and great stereo sound. 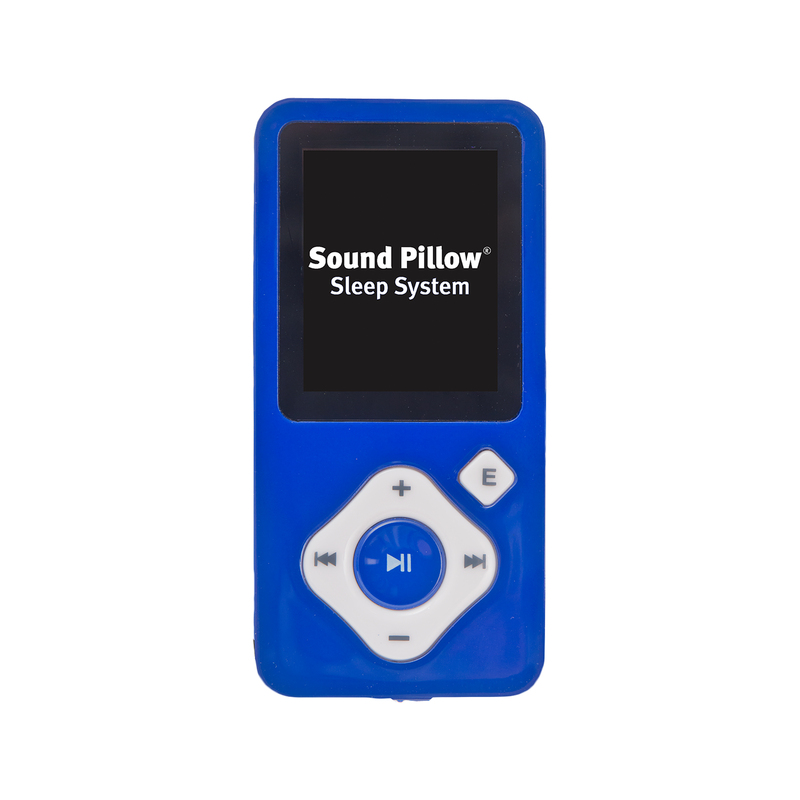 The system comes complete with an easy-to-use MP3 player pre-loaded with nature sounds, hypnotic-binaural music, White Noise, Blue Noise and Pink Noise files. 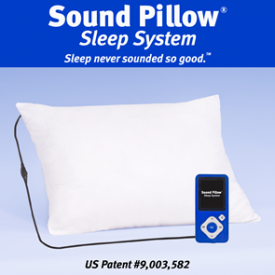 The Sound Pillow Sleep System combines our proprietary, user-friendly, MP3 player loaded with 18-one hour tracks of ultra-relaxing hypnotic-binaural music, real nature sounds, as well as White Noise, Pink Noise and Blue Noise files, thus creating an intimate sound conditioner with a wide variety of content. Audition our content by clicking on the Sound Samples tab, above. The music and nature sounds are soothing and created to be slow and evolutionary. 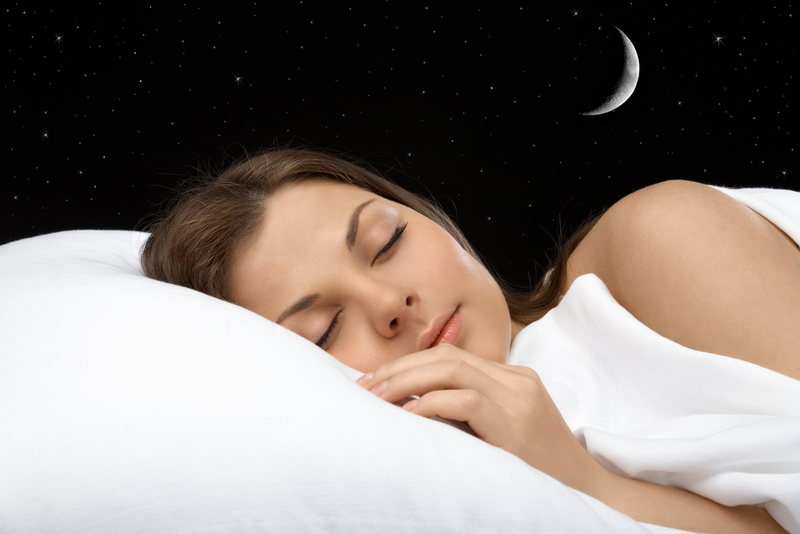 Our goal is to help relax your mind, body and spirit. The system is an affordable, holistic sound conditioner to help you relax and unwind from a wide variety of daily stressors including: tinnitus, past traumatic experiences, anxiety, addiction, sleeplessness, a racing mind, etc….